We knew to expect a long Winter before the final Game of Thrones hurrah, but it's safe to say no one expected this long of a Winter. It's officially been well over a year since the show's shortened seventh season ended. With no official word on a premiere date for season eight (the best we have is a vague idea), all we can do is sit and wait - and try not to go crazy. Luckily, Entertainment Weekly has come to the rescue, giving us a few small morsels to chew on as the wait drags on. Perhaps the biggest reveal in EW's new exclusive report is the opening moments of the season, which really set the stage for the epic, mind-numbing journey ahead. 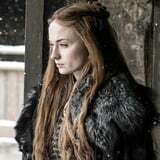 Season eight "opens at Winterfell with an episode that contains plenty of callbacks to the show's pilot," EW reported. "Instead of King Robert's procession arriving, it's Daenerys and her army. What follows is a thrilling and tense intermingling of characters - some of whom have never previously met, many who have messy histories - as they all prepare to face the inevitable invasion of the Army of the Dead." Holy f*ck!